Only at Crypto Supply: No extra costs for EU customers for import! ASIC-Miner from FusionSilicon running on the X11 Algorithm. 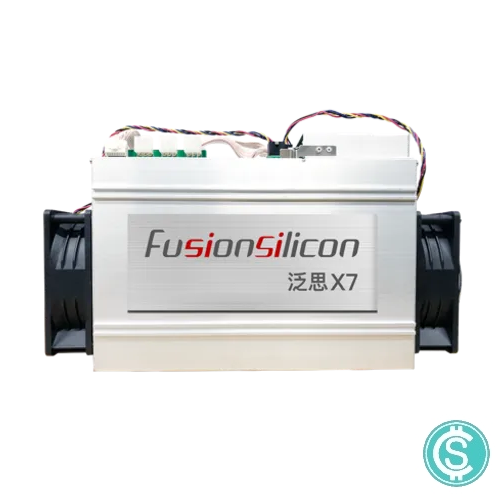 With the X7 you can mine, among others, the following coins: Monetary, Dash, Onix and many more. When buying this product you are equipped with 24 months on the basis of functionality. You can check the current profit HERE. You can also profit from our professional Crypto Supply Housing solution. We operate your devices under controlled operating parameters so your only care is to spend your mined coins. A miner from a new manufacturer who has so far proven positive.